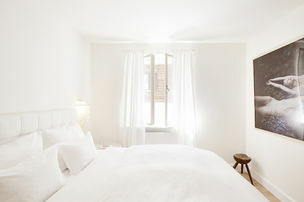 Publisher, editor & lifestyle guru Angelika Taschen turns her curated hand to hotel interiors. Angelika Taschen creates a new hotel suite at Der Seehof tucked away in the Austrian countryside, a long-time creative lakeside retreat some 80km south of Salzburg. Best known perhaps for her publishing attributes, conceiving from scratch some 150 or so titles under her editorial belt, Dr. Angelika Taschen has now channeled her creative talents & brand into a new and exciting pursuance into the realms of interior design. 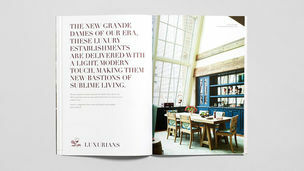 This is an exciting period for Angelika; alongside the recent launch of her own label, Angelika – Custom-Made Books, the Berlin based publisher is no stranger to the creative and lifestyle scenes with enviable close ties to the worlds of architecture, photography, art, interiors, travel and culture. 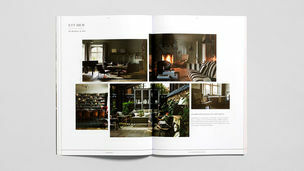 So the sidestep into the world of interiors comes as no surprise. Her own Berlin atelier has been featured on countless interviews, revealing an aesthetic eye of authenticity, intellect, curatorial simplicity and an edge of Bohemia, attributes that can be experienced first hand in the newly-crowned ANGELIKA SUITE at the family owned Der Seehof. The setting is fitting as a bit of an insiders’ bolthole, it is deliciously eclectic, a creative pad that tries not too hard and is a slow-lane natural hub for fellow artisans – it also has a fabulous acclaimed restaurant, HECHT. 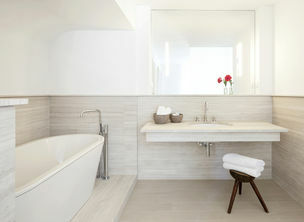 The suite itself is bathed in natural daylight reflected across the chalked white walls and wood planked flooring, a subtle canvas of simple elegance that echoes a sense of retreat. Clever, just enough, interventions courtesy of designer pieces and aged antique desks, play host to a “watery” visual installations of Ophelia, inspired by Shakespeare’s Hamlet, and a series”Sisters” & Rosalie the Owl, created by celebrated German photographer, Kirsten Becken. Angelika triumphs in narrating the simplistic beauty of Der Seehof’s lakeside location while ushering a brush of boho lifestyle adding an injection of non-self importance. This is a strong, soft style narrative & demonstrates her perceptive vision of what works. Wonderful. 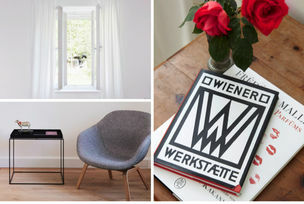 Der Seehof Goldegg, is a founding member of the highly curated, personable community of White Line Hotels®, just one of the 50 plus independent hotels that have natural soul and style. Images © 2015 by Mark Seelen Photography & Angelika Publishers GmbH. All rights reserved. 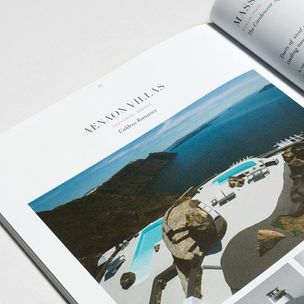 THE AFICIONADOS TRAVEL MAGAZINE – a guide by WHITE LINE HOTELS. 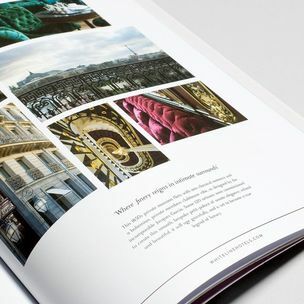 Discover our hotel collection founded on design, luxury, style and soul - through the touch of print. 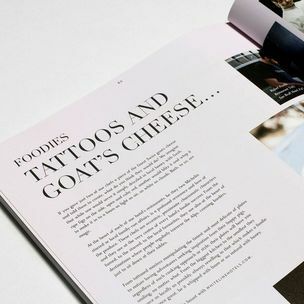 We could not resist publishing this tight bi-annual travel edit, a style piece packed full of 96-pages of hotel eye candy and travel inspo. just for you to pack your bags with. 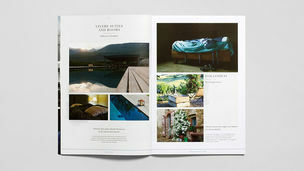 A clever directory of our complete collection, this is The Aficionados™ - summer Trouvailles Edition. You can order your copy of THE AFICIONADOS MAGAZINE HERE. A fab luxury oasis, a Spa in the heart of Barcelona at the trendy Hotel OMM that brings oriental calm married with iced run-throughs. 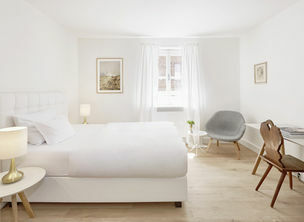 Hotel Omm & Spa – Passeig de Gràcia, Barcelona has long been the hot destination in this posh end of town and despite being a luxury pad, it has a chilled vibe complete with Michelin star dining, and a bijou Spa that punches high on the score card of relaxation. 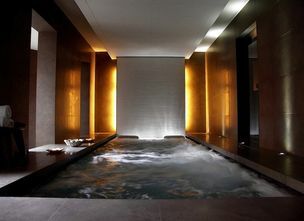 The Spa – Spaciomm is seductive like everything that narrates the Hotel OMM story – urban-chic, it has a contemporary styling of relaxed luxury & design – heralding an oasis of peace, beauty & relaxation, very Ommmm indeed. Local design duo, interior designers Sandra Tarruella and Isabel López, created a Spa in an urban setting with clean lines and an oriental air. 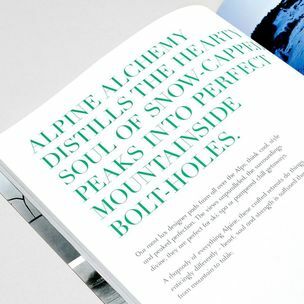 Natural materials such as wood, stone, iron, coconut, yarn and silk are married with water in the forms of endless crushed ice and a hot plunge pool. Barcelona is a cool cat style capital for sure, looking good is part ‘n parcel of the culture and when in town, essential - Spaciomm has tailored a beauty regime by the likes of Natura Bissé or the hotly chased Ankshu Vital Natural Anti-aging by Nuria García. 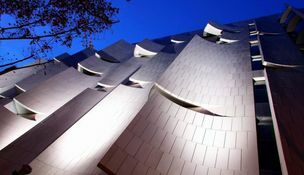 Perfect, the designer Hotel OMM Barcelona is the chilled den of style, complete with an urban Spa geared for you busy little bees returning from a spot of shopping, socialising, Gaudi snapping and the walks along the beaches down at the ports.